Sign up for half day or full day Summer Camps! There are classes for PreK, camps for K through 5th grade (half day and full day options) and workshops for teens as well! Additional Information: This studio offers a variety of arts, crafts, sewing, mixed media, and wood sign making for kids and adults. It is a drop-in/drop-off art studio which means any time during business hours, people can drop-in and create or parents can drop off kids (ages 5+) for a unique art experience at various times. No appointment needed but click the link for availability. 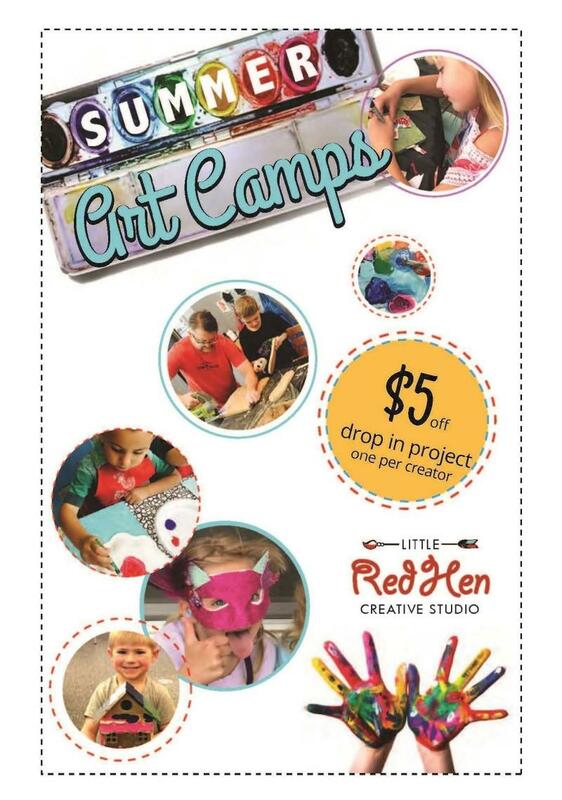 Little Red Hen also offers classes, camps, workshops, and hosts events and parties for kids or adults. The events and parties offer themed packages that include cupcakes, food, and entertainment.